Our Riot Fest exploration continues with this news about a new summer festival and carnival set for Sept. 14 at the Congress Theater and Sept. 15-16 at Humboldt Park. Iggy & the Stooges, Elvis Costello, Rise Against, the Descendents, the Jesus & Mary Chain, the Offspring, Dropkick Murphys and more. 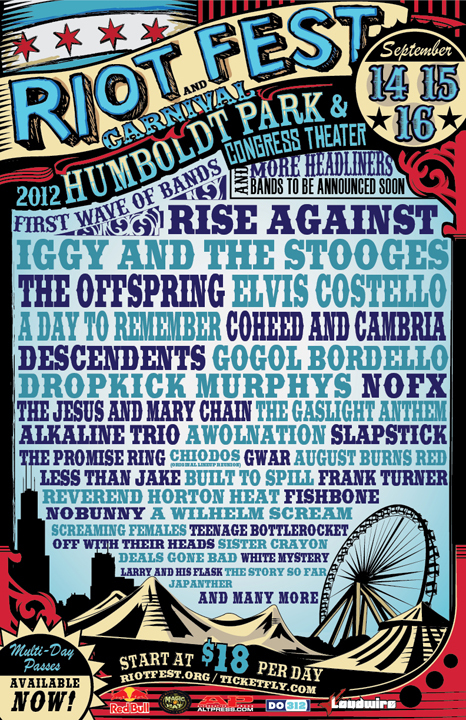 Are You Ready To Rock at Riot Fest? What are your most memorable experiences at Riot Fest? What bands are looking forward to seeing live?